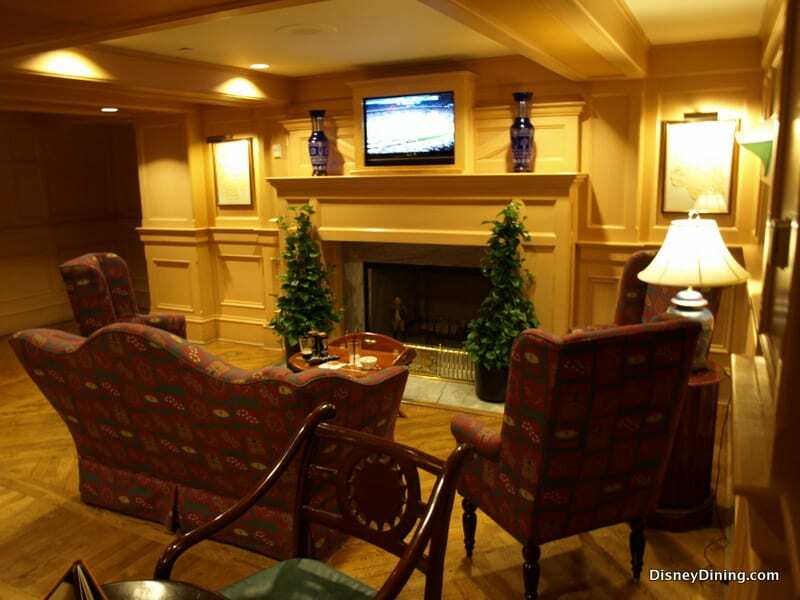 Amid the hush of a beautiful waterfront and the wood wall paneling of Disney’s Yacht and Beach Club Resort, comfort and extravagance are emphasized above all else. Wrapped in an unmistakably New English luxury, guests can wine and dine, swim and soak in a relaxing and utterly enticing world of nautical fun. 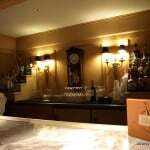 The fun begins the minute you set foot in the lobby, which welcomes guests with a massive globe, wonderful maritime décor, and a little nook of a bar called Ale and Compass Lounge. Have you ever wished you could sit back in a leather chair by the fireplace while you sip on a martini? Well, at Ale and Compass Lounge, you can do just that. 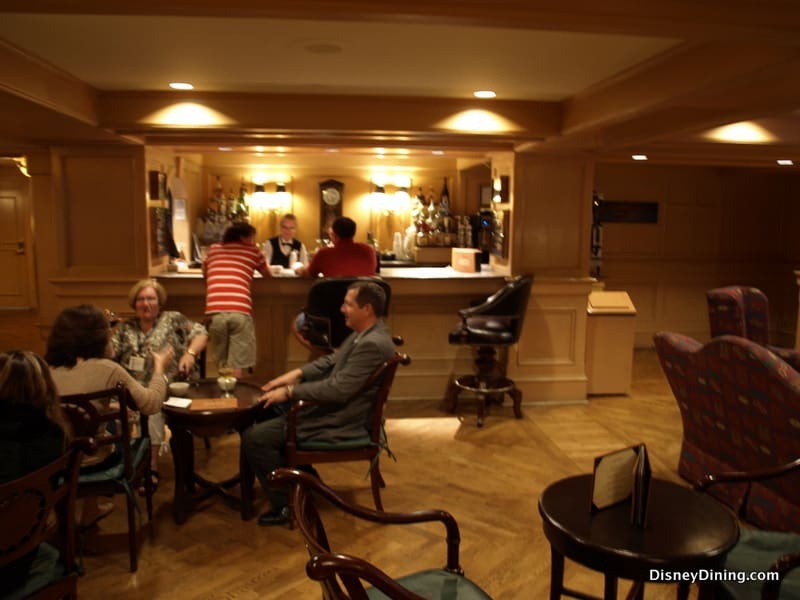 Enjoy what feels like a captain’s private quarters while the cast member behind the bar provides wholesome conversation and a good drink. 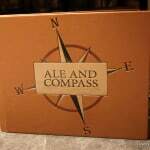 Whether you are waiting for your party to gather or just trying to kill some time before check in, the Ale and Compass is the perfect place to get your bearings. 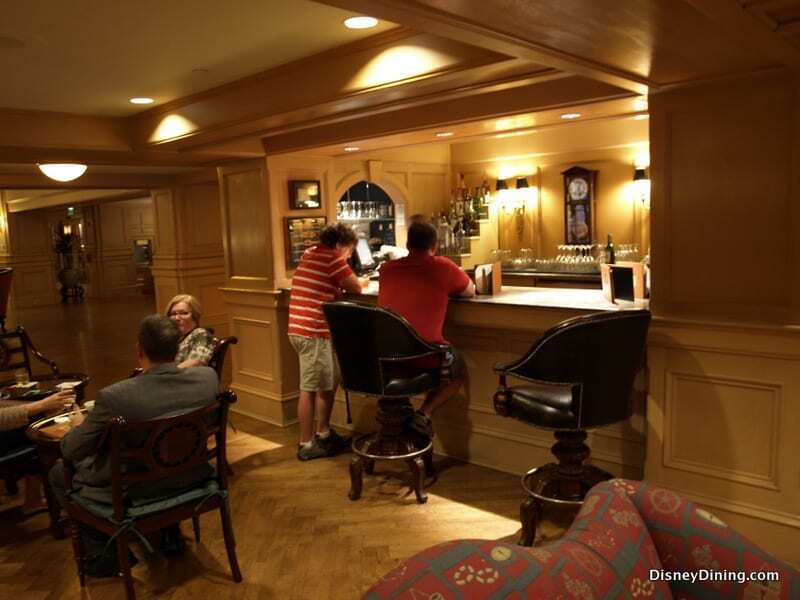 Our visit took us straight to the bar where some fellow Disney-goers were enjoying interesting drinks. Sifting through the menu, it looked very similar to the drink menus at other bars around the resort, but the bartender insisted that many of these drinks, while similar to other within the Yacht Club, were unique to the Resort. The reason given for this was the simple fact that other Disney bars just don’t carry the same liquors. 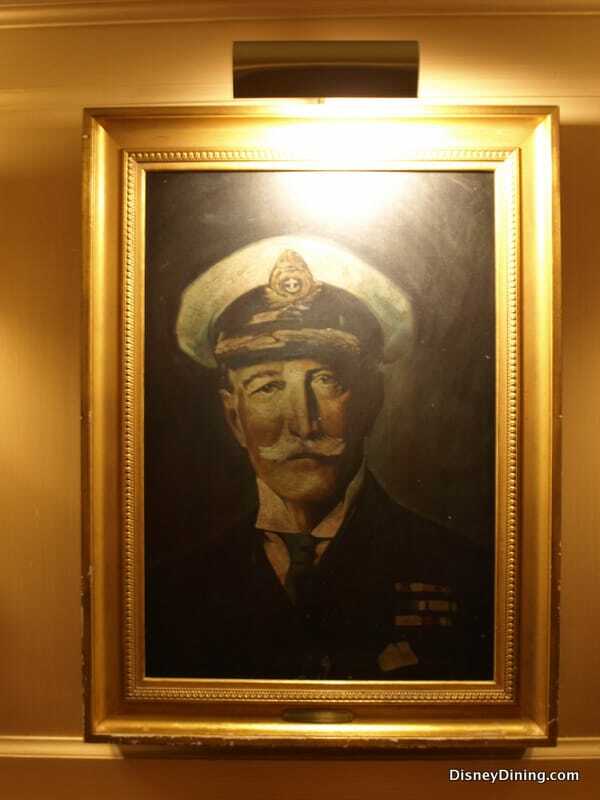 But at a Yacht Club, you can rest assured they have the liquor you’re looking for, and then some. 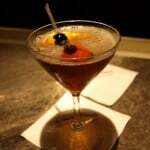 Acting off the recommendation of a man at the bar, this review indulged in what was called a Rye Manhattan. Made with all name-brand liquors, a Rye Manhattan consists of Bulleit Rye American Whiskey, Carpano Antica Sweet Vermouth, and Angostura Bitters. Atop the golden brown display, lay a triple stack of gourmet maraschino cherries, which crunched and juiced like three delicious pieces of candy. The Manhattan went down smoothly, almost too smoothly, with a simple sweetness wrapped in a bitter, earthy flavor that very nearly made the toes curl, but subsided at the last second. 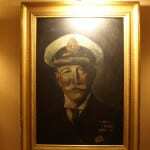 It was a captain’s drink if ever there was one. 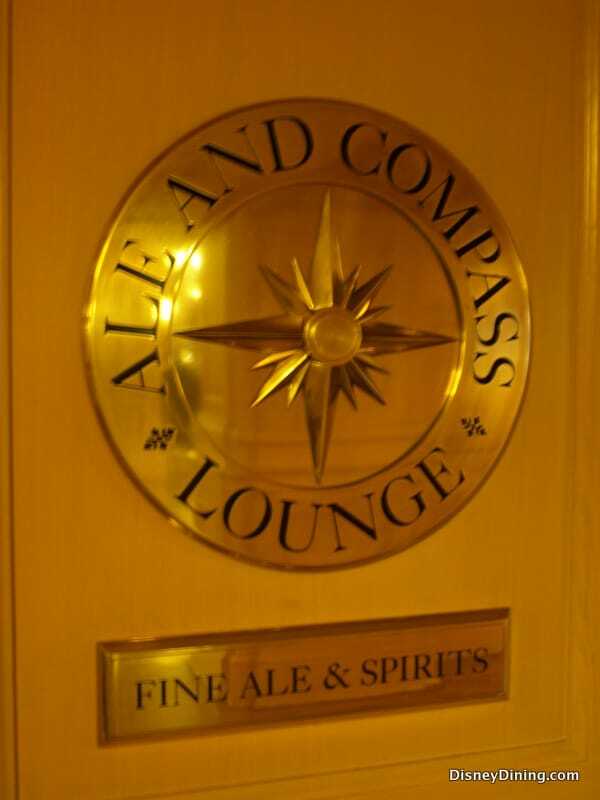 For those who prefer the simple splendors of barrel brewed alcohols, the Ale and Compass Lounge also has a rather nice beer menu, offering a few exotic and scrumptious additions to the everyday list. Samuel Adams Seasonal and a few select imports are among them. No matter what you drink, you’re sure to find something to suit you. And if you can’t find it on your own, ask the bartender! They are more than happy to assist. 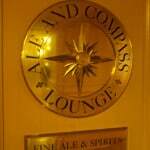 The Ale and Compass Lounge was made for the people who just want to take a minute and relax. 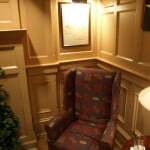 Enjoying a drink has never been more quick and simple than it is in this little alcove. Food: Apart from the few appetizers available for neighboring restaurants, Ale and Compass is perfect for a nice drink and a minute to determine where to head next. While the drink menu is comparable to some others around the resort, it still has some drink options other Disney locations don’t have. 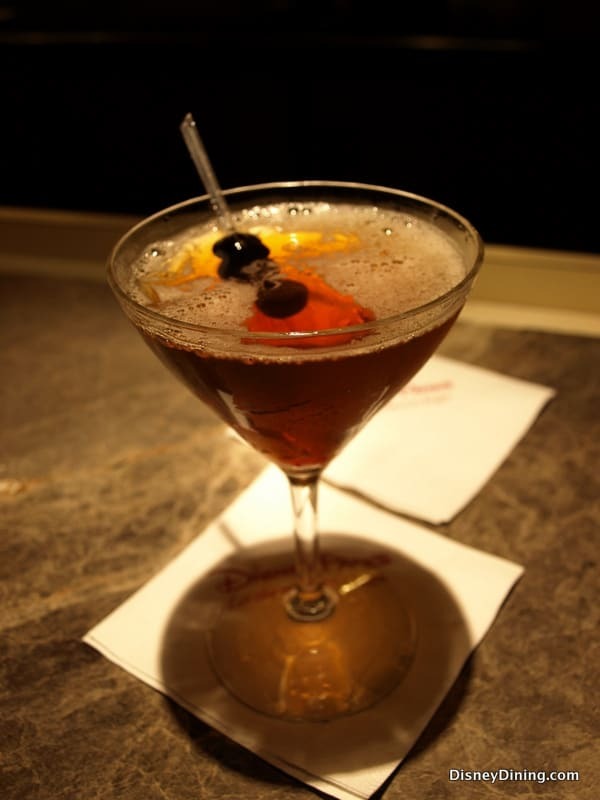 For instance, the Rye Manhattan uses a rare Rye whiskey and will rattle your palate, in a good way. 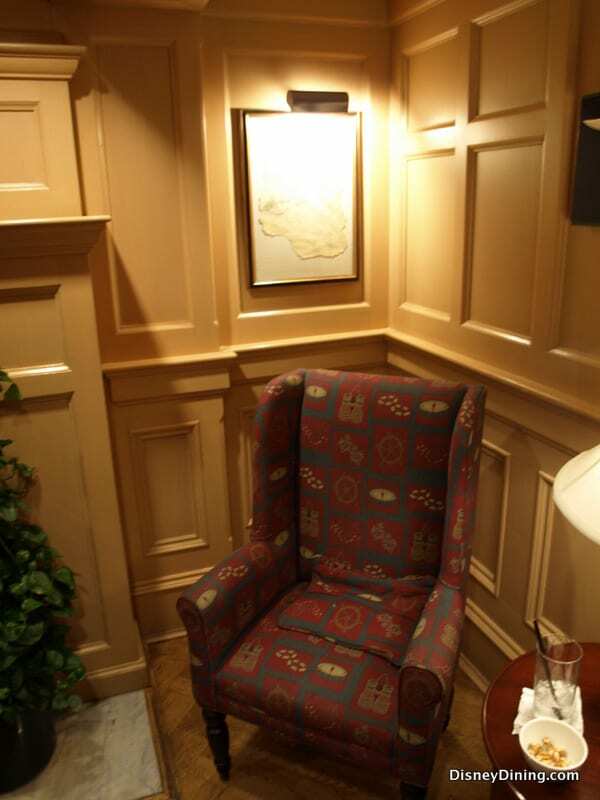 Atmosphere: Small, but pleasant and comfortable. 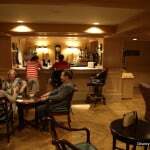 The bar actually feels like it’s part of the lobby and incorporates many of the same sorts of furnishings. 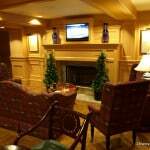 Complete with a fireplace and a captain’s portrait, there is no better place to relax and pass some time. Service: Friendly and skillful with a shaker. 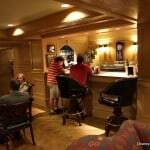 Even manned with only one cast member, the Ale and Compass offers quick service and killer concoctions made to perfection. 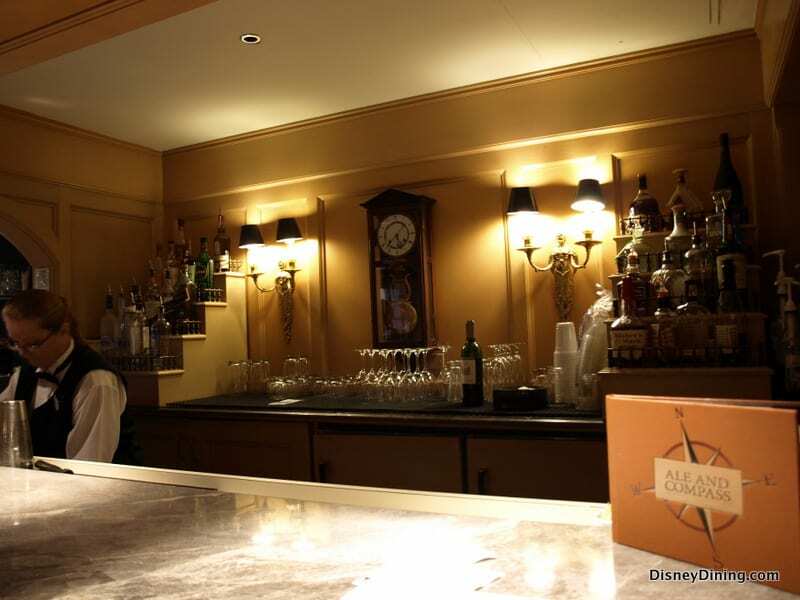 Don’t underestimate the skills of a Disney bartender. 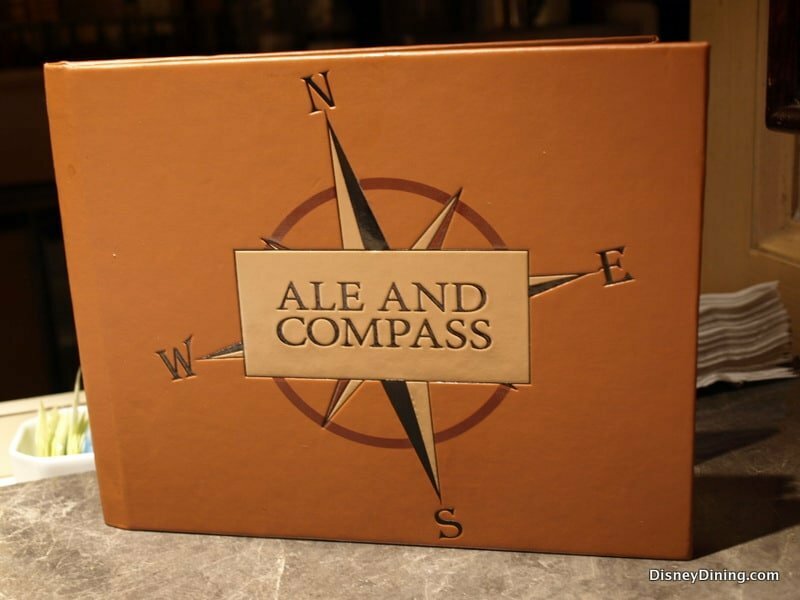 Tips: Don’t just “wait in the lobby.” Ale and Compass is ideal for a quick drink before heading out to Downtown Disney or across to the Boardwalk. Settle into a comfortable chair, have a hand-crafted drink, and wait for the rest of your party to arrive.